Are you looking for babysitting jobs in Surrey? Babysits has a large overview of babysitting jobs, with 7 jobs currently available in Surrey matching your search criteria. Start contacting parents for free to find a great babysitting job in no time! Are you looking for a babysitting job in Surrey? There are 7 babysitting jobs in Surrey currently available matching your search criteria. I am looking for sitting on ** Mondays only ** in my Cloverdale home for this summer for the months of July 2019 and August 2019 - excluding stat holidays- from appx 1 or 2 PM to 4:30.. 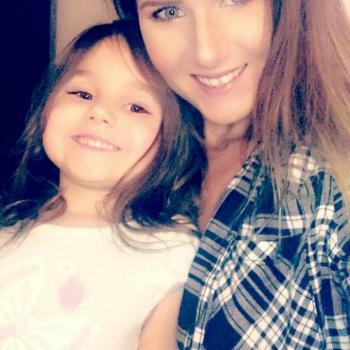 I'm a single mother,looking for a part time babysitter to help with my daughter (ages 4 ) . Must have patience and be clean in all aspects of handling the baby. Please respond with.. Looking for a part time nanny for one easy 4 year old. Will be a some what carried schedule. Must be able to drive and have a clean record some days you will have to pick her up from.. Through Babysits you can find babysitting jobs in various cities. If you are looking for a babysitting job in Surrey, then you are in the right place! Are you looking for babysitters in Surrey? You can sign up as a parent!